As the year winds down, there is an indication that the attraction to ISIS by homegrown radicals in this country is beginning to fade, especially after the Obama administration blunders in dealing with terror were thankfully put to rest with the election of Donald Trump. If we had to endure another term of Obama, the chances are very good that ISIS may have been even more deadly today than even the Iranian government. As it is, many of those who became ex-patriate Americans and other coalition member citizens who cast off their loyalties to a homeland, ended up being captured and detained. The process is lengthy and expensive, but in the end, it is certainly worth the time and effort because of the valuable benefit of having these people who betrayed their own countries exposed and shown to pay the ultimate price. Mohamad Khweis, an Alexandria, Virginia bus driver who up and left the country to join ISIS in their fight, ended up deciding that the commitment was just a tad too demanding and opted to desert ISIS. After he was captured by the Kurds and turned over to the US, he made quite a few excuses as to why he joined them. After his conviction, however, the lies stopped abruptly when the sentence was finally handed down: 20 years! The first American citizen to be convicted of successfully joining the Islamic State has been sentenced to 20 years in prison. 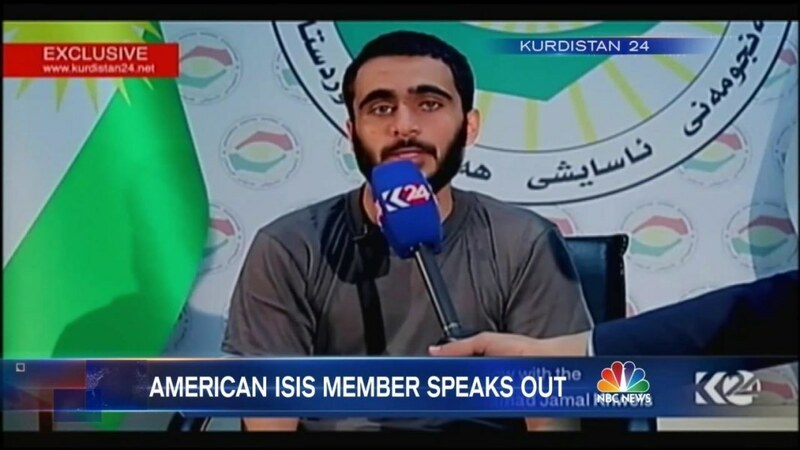 Mohamad Khweis, unlike the dozens of other people in the United States who failed to join ISIS and were subsequently charged, actually made it to Syria, but after just three months tried to escape and was captured by Kurdish forces, The Washington Post reports. Khweis is an interesting case for numerous reasons. First, there was no particular event or friend who ignited his radicalization. Second, he successfully made it to Syria via Turkey. And third, he came from a secular home that was stable. His life before joining the caliphate was unremarkable. He obtained an associate’s degree in criminal justice and worked as a bus driver in Alexandria, Va. He also abused marijuana over the past few years. Khweis’ defense attorney said Friday that even he has no idea what caused Khweis to join ISIS. Prosecutors, who pushed for 35 years in prison, accused Khweis of lying repeatedly over the last 15 months of the trial. One of the lies that Khweis told the court was that he had joined ISIS after making contact with a woman who basically enticed him to travel to the Middle East. As it turned out, the woman that he referred to did not exist. This man may be sorry that he was caught, but he certainly was doing what he ultimately did because of a deep-seated hatred for this country. It’s a shame that many of these people were given the green light by a feckless Obama administration and ended up throwing away their lives in the hope of a glory day where they would be heroes and be exalted by all their brethren in the Middle East. Khweis may be in prison for a long time and one wonders if he is truly sorry, or merely filled with self-pity because of his capture.